TAUNTON, Mass. 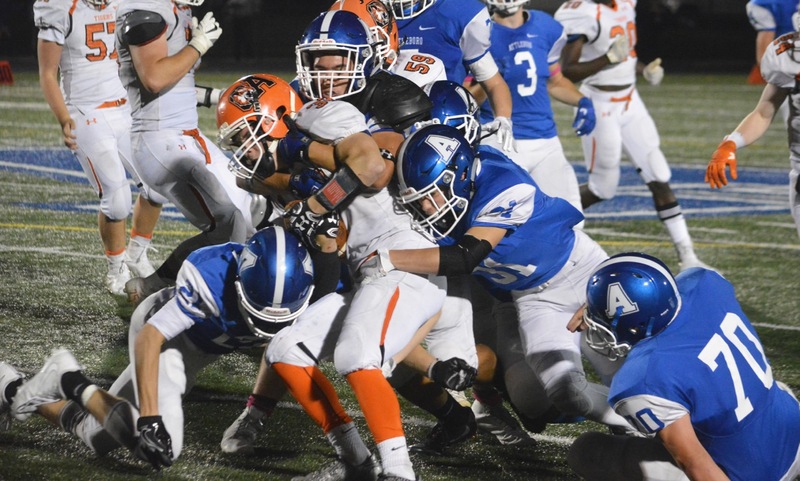 – It had been a rough opening three weeks of the season for the Attleboro football team, losing all three games against strong opposition (two by a combined seven points) and seeing the roster decimated by injuries. But on Friday night at Aleixo Stadium, the Bombardiers got healthy and got on the board with their first win, beating Taunton 45-21 to end Tigers’ perfect start to the season. 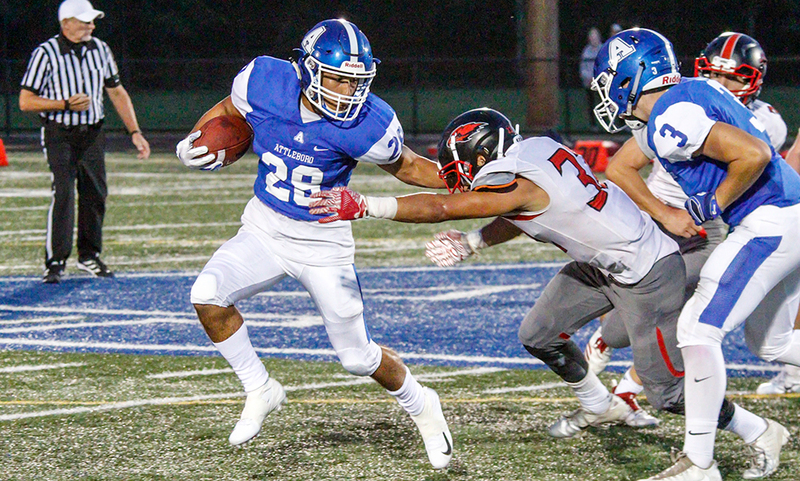 Senior quarterback Cam Furtado led the way for Attleboro once again, running for a pair of touchdowns and throwing for two more while amassing nearly 250 yards of offense. The Bombardiers also showed off an array of skill position players, with seven players getting at least one carry and six players having at least one reception. Penalties killed Attleboro’s first possession of the game, which got as far as the Taunton 15 before stalling and ending in a punt. The Tigers immediately took advantage and took the lead. 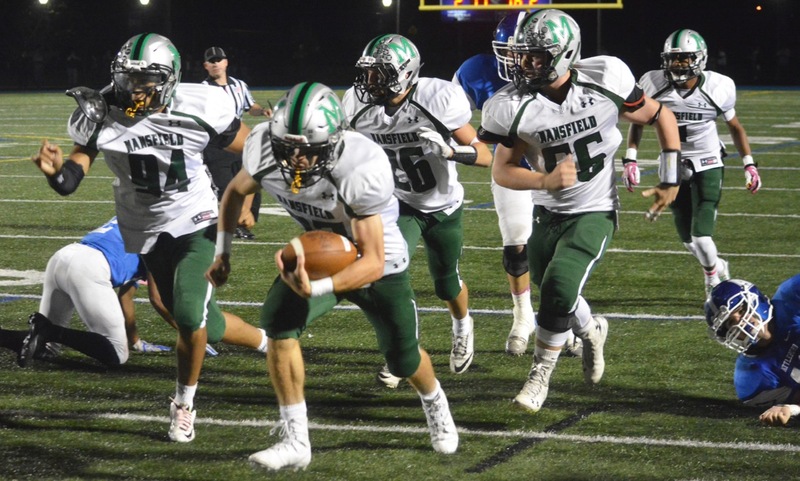 T.J. Mendes gave warning with an 11-yard draw up the middle and then broke through the line again on the next play, racing 53 yards for the opening score. Attleboro bounced right back with a 73-yard drive, keeping the ball on the ground almost the entire way. 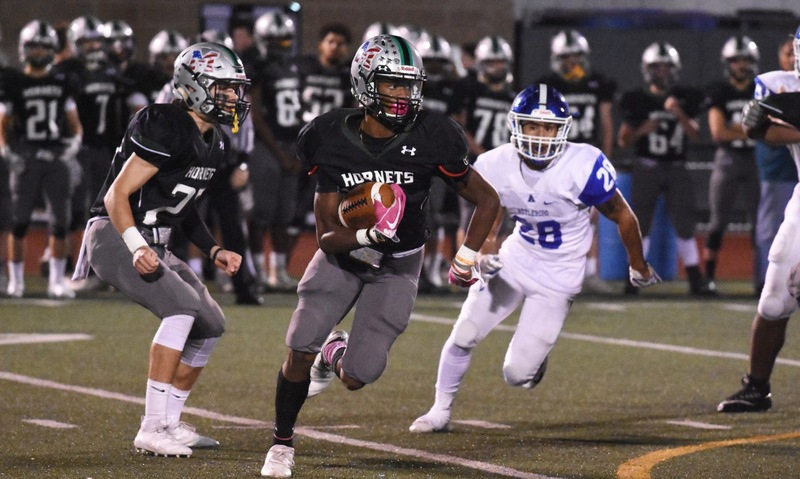 Junior Alex Rodriguez (eight carries, 73 yards) had three rushes on the drive, senior Marcus Blaise had three and Furtado (16 carries, 86 yards) had back-to-back keepers that totaled 31 yards. He capped the drive by hitting senior tight end James Weir (just back from injury) for a seven-yard score. Furtado then completed a pass to Justin Cote for the conversion. Nathan Barboza picked off Leonard on the first play of Taunton’s next possession and returned it to the Tigers eight-yard-line. Two plays later, Furtado’s six-yard keeper and ensuing two-point conversion made it 16-7. Taunton was not going away in the first half and answered right back. A 55-yard kick-off return by Tryton Zavala gave the Tigers ideal field position at the Attleboro 20. On fourth and 11, Leonard threw a receiver screen to Collin Hunter on the near sideline and the senior wideout broke tackles on his way to the end zone. The game changed on Attleboro’s last possession of the half. 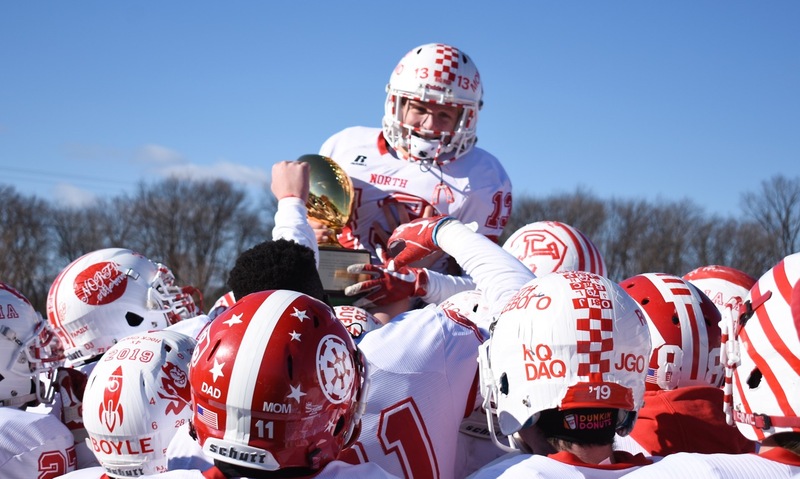 Starting in Taunton territory, it looked like the Bombardiers were going three-and-out, but a running into the punter penalty on fourth and four kept the drive alive. On fourth and six from the 22, Furtado and Barboza hooked up for a seven-yard completion. 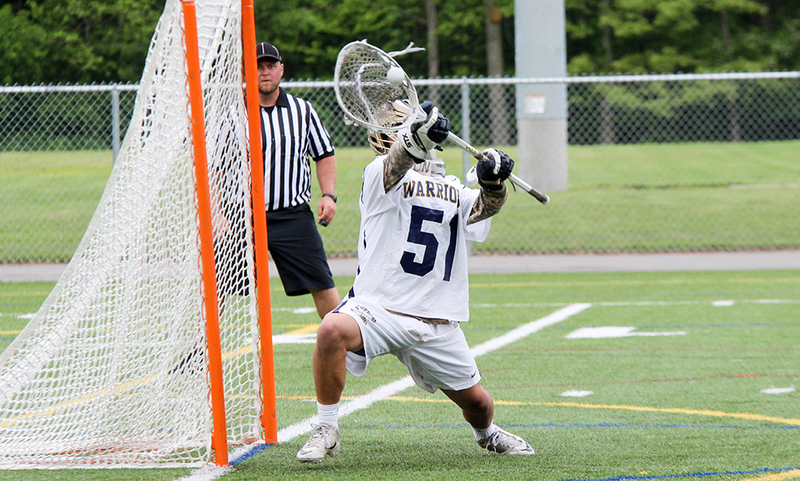 Again the Taunton defense held and had the Bombardiers on the edge. Senior Billy DeRosa sacked Furtado on third down for a 12-yard loss pushing the visitors back to the 26 and facing fourth and 21. Attleboro tried a trick play with wideout Elvin Sam tossing a pass, but it was incomplete. Taunton celebrated and both teams walked to the sidelines thinking the drive was over. No one noticed the flag sitting next to the Tigers sideline. The call was unsportsmanlike conduct on the Taunton bench. The official explained later during a timeout that he had warned the Taunton coaches to give him room on the sideline, but during the fourth down play he ran into a coach and gave a penalty. Taunton was stunned and Attleboro made it worse on the next play as Furtado threaded the needle to Sam (three catches, 68 yards) for a 13-yard score and a 24-14 lead. Attleboro came out of the locker room fired up and took control of the line of scrimmage on both sides of the ball. Sophomore Qualeem Charles (also back from an injury) blocked a Taunton punt to give the Bombardiers the ball at the Tigers 29. After a 20-yard screen pass from Furtado to Cote, Rodriguez went up the middle for a seven-yard touchdown. Taunton scored on its next possession with Leonard (4-11, 78 yards) finding Brayden Merrill underneath the coverage and the junior breaking it for a 41-yard touchdown. But that renewed energy was short-lived, as the Tigers had no answer for Furtado. The senior signal caller kept a third and nine play alive, scrambling to his left, and then firing a perfect deep ball to Josh Therrien for a 50-yard completion. Cote punched it in from a yard out. 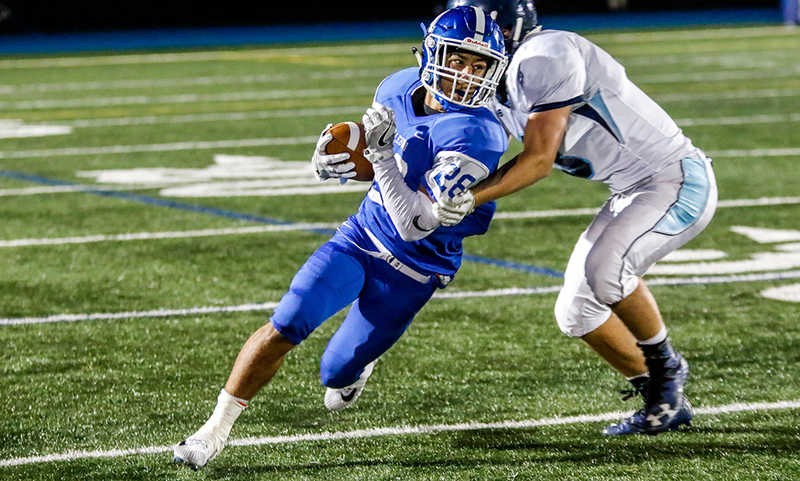 Barboza added a one-yard run on the next Attleboro possession and Nolan Jaeger added an interception in a dominating second half for the Bombardiers. Strachan was happy to welcome a few of his key players back, including junior Nick Evans who had a cast on his arm, and also to have players that could make plays and take some of the pressure off Furtado. 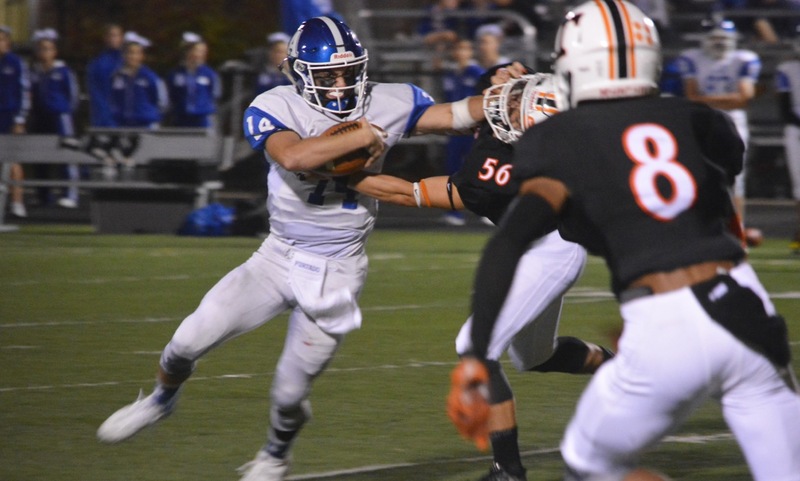 Attleboro (1-3, 1-1) will try to build on the first win of the season when it hosts Oliver Ames next Friday. 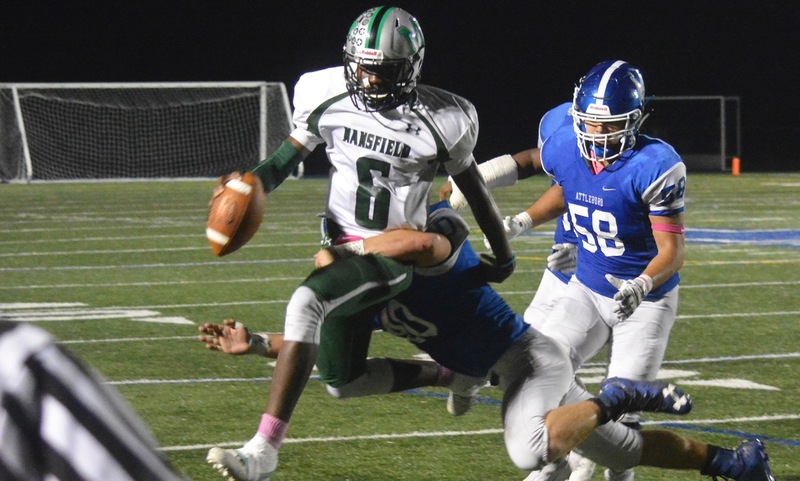 Taunton (3-1, 1-1) will look to get back on track next Friday when it travels to Alumni Field to take on Mansfield.